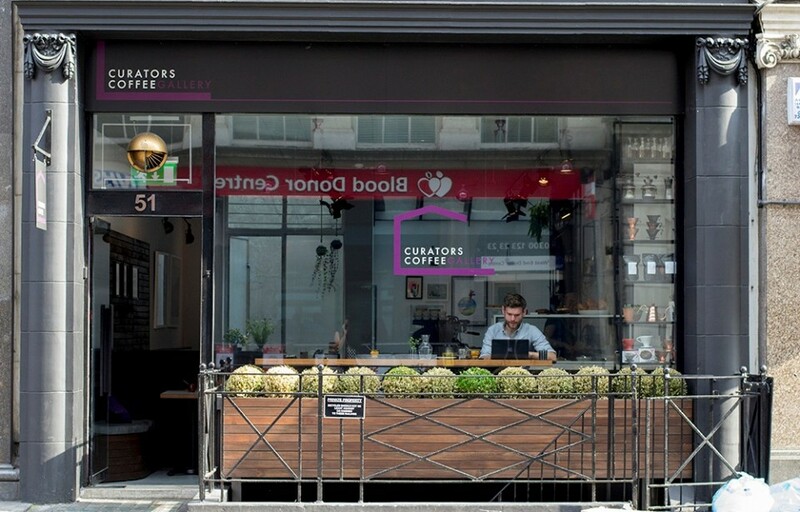 Curators Coffee is a two-site speciality coffee house launched in 2012 by a group of Antipodean coffee devotees. Catherine Seay, Director of Operations and part-owner, says the philosophy behind the enterprise is about going that extra mile. 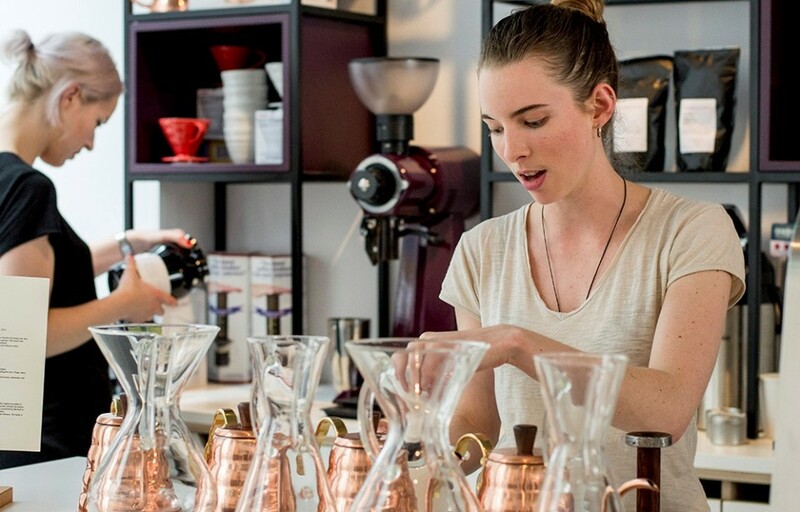 “There’s always going to be similar elements when comparing us to other coffee houses, but we want to strive to be one of the best and we really want to push our industry further,” she explains. 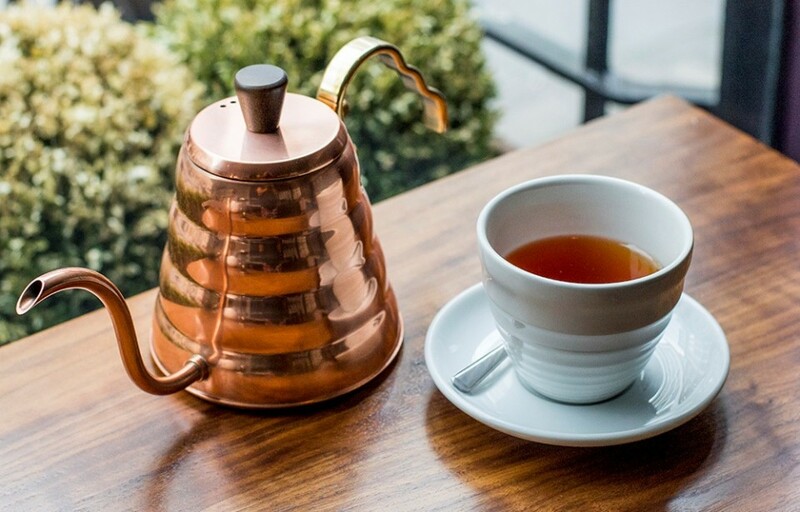 Whilst tea can usually be found on menus in coffee bars, it is often an afterthought and given little attention. One thing that makes Curators stand out is that their tea offering shuns this preconception; it’s as premium as their coffee and sourced from Lalani & Co.
“I feel tea should get the same attention [as coffee] and should be sourced the same way – one farm, and one lot from that one farm. We do it with lots of other things – like wines – so I don’t know why we’re not doing it more with tea,” explains Catherine. 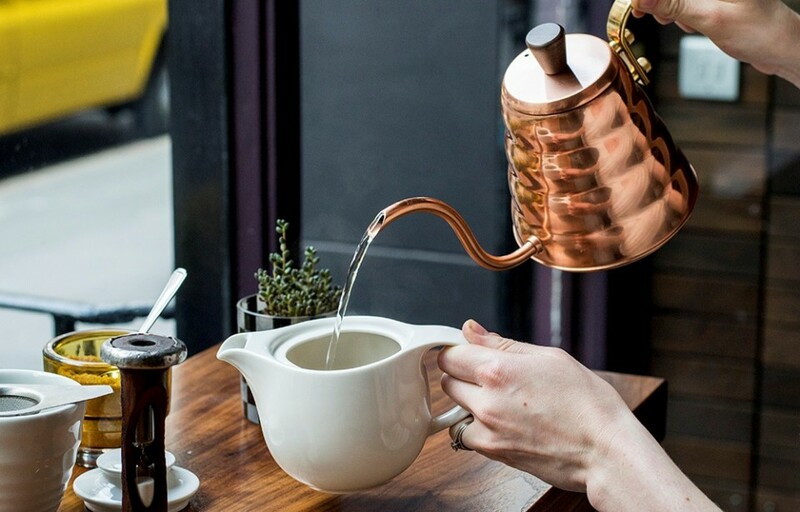 Catherine has always been a fan of tea, and compared to their first site off Fenchurch Street which is more of a takeaway operation, the slower pace and seating available at their second on Margaret Street allowed them to do more with tea. “We have Assam and green tea which we can brew up relatively quickly. 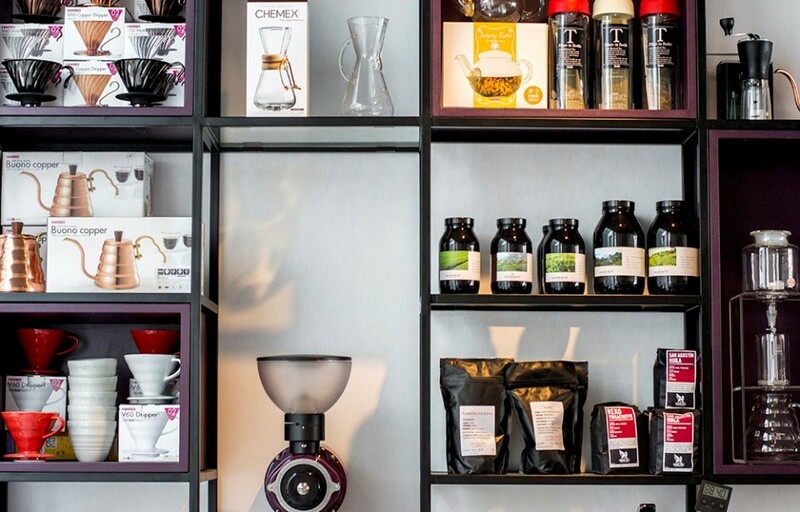 But we’ve got extra teas on the ChemEx brew bar that we serve alongside the really special coffees – such as the oolong and sencha – because they take a little longer to make,” explains Catherine. “There is a lot of education we do with customers – we explain the difference between teas and how they’re different to a standard English Breakfast. But I actually think the tea revolution is still coming”. Part of Catherine’s job is to ensure they have the facilities to easily obtain the different water temperatures required for the different teas. “We’ve made up little recipes that combine filtered room temperature water and hot water (either from our 85C or 95C taps), and we mix them to get the cooler temperatures,” reveals Catherine. The procedure of brewing varies depending on where the customer intends to enjoy drinking it. 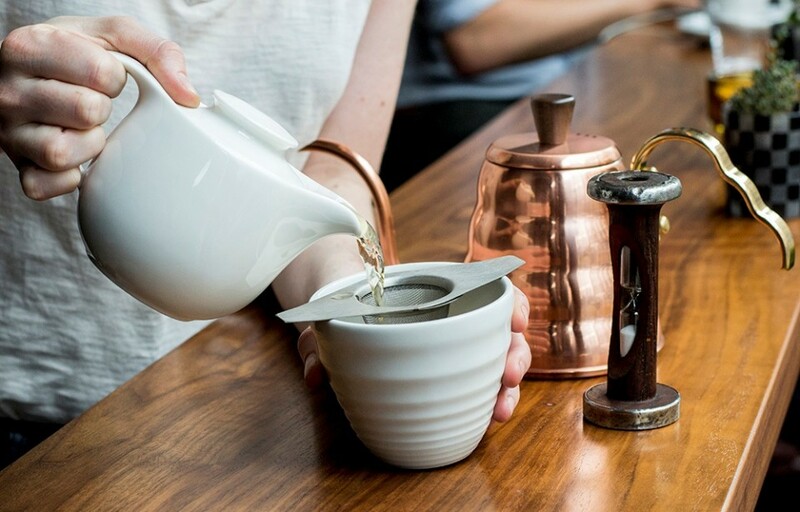 “If people are sitting in, we take the sand timer over to the table and we’ll tell them that when it’s finished running, the tea will have been brewed for the perfect amount of time and they should pour it,” explains Catherine. It was the expertise of Lalani & Co, and Catherine’s love of the product, that lead to them becoming the chosen tea supplier for Curators Coffee. “Once I sat down with them [Lalani & Co], it was always going to be them,” Catherine goes on to explain. “Lalani & Co. have so much knowledge and passion and it’s something the people in the coffee industry have for their coffees too”. Matcha tea can be ordered as a frothy latte. “We make a mini matcha shot, top it up with steamed milk just like a coffee latte, and do some nice latte art on top,” explains Catherine. “It’s really popular,” explains Catherine. 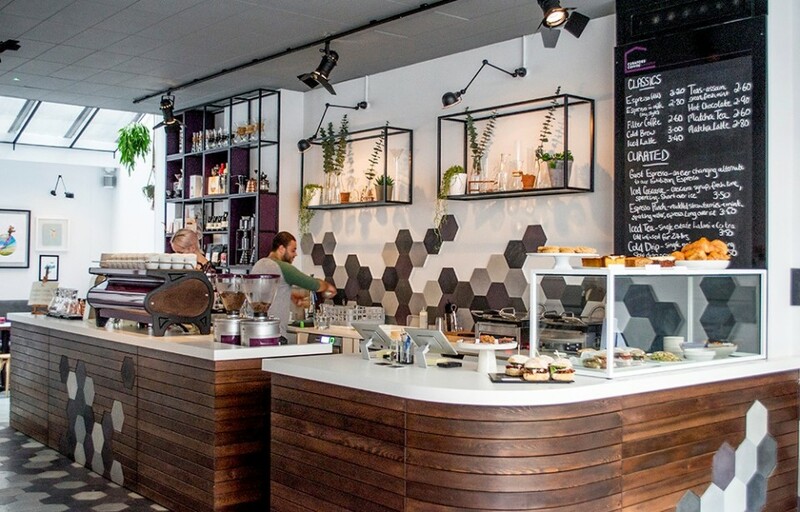 Catherine has visions for the future when it comes to the tea offerings at Curators Coffee. Leyla Kazim is a journalist, photographer and food writer. Leyla tweets as @LeyLaLaa and can be found at The Cutlery Chronicles.